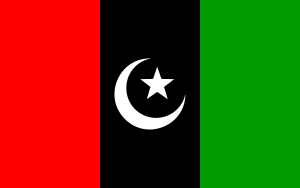 Pakistan Peoples Party (PPP) is one of the oldest and most prominent political parties in Pakistan’s 67 year. PPP was formed by Zulfiqar Ali Bhutto on Nov. 30, 1967. The first general elections in Pakistan were held in 1970, 23 years after independence. PPP emerged as the leading party in the western wing of Pakistan, by using the slogan of Roti, Kapraor Makan (Bread, Clothing and Shelter). Since then PPP has come in power many times and presently it runs the government of Sindh, Pakistan’s second largest province. An objective and unbiased analysis of the Party would suggest that PPP is the torch bearer of corruption and bad governance in Pakistan. There are a lot of things we can say about PPP which were against the interest of the Pakistani people such as role of Zulfiqar Ali Bhutto in the separation of East Pakistan, the introduction of dynastic politics in Pakistan, and unending tales of corruption. Fast forward to 2014. The Thar crisis is latest incident which has badly exposed the credentials of PPP as a political party that only cares about power and nothing else. Tharparkar, commonly called Thar, is a desert located in the east of Sindh province of Pakistan. It’s thinly populated and the majority of people belong form the Hindu community. Approximately 68 infants have died due to malnutrition during last 45 days. 470 people have died in Thar in the last three years due to drought. Asif Ali Zardari, former president of Pakistan and co-chairman of PPP, directed Manzoor Wasan, a provincial minister, to investigate the cause of deaths in Thar. The inquiry report as a result of an investigation held the Sindh health department responsible for deaths in Sindh. In other words a commission setup by the Sindh government proved that the responsibility for deaths in Thar lies on the shoulders on PPP controlled Sindh government. Here comes the reputation of PPP in play. Biliwal Bhutto Zardari, the 27-year-old son of Asif Zardari and chairman of PPP, termed the inquiry report “a conspiracy against PPP.” He issued show cause notices to Manzoor Wasan and Chief Minister Sindh. This is an extraordinary situation where two officials are being served show cases notices just because they assisted in exposing the fact that PPP is responsible for deaths in Thar. The inquiry report exposed the reality of PPP which was already not hidden from the political pundits and analysts. As a damage control tactic, PPP leaders reject the existence of the Thar report. It was absurd because a few days back the Sindh government itself related the report to the media. Manzoor Wasan, the provincial minister who compiled the report, also denied the existence of any such report. After his denial, the PPP chairman conveniently withdrew the notices that he had served to Manzoor Wasan and Chief Minister of Sindh Qaim Ali Shah. This is just an example of Pakistani dirty politics where political parties stoop to any depth possible to save their skin. PPP is a pioneer of this type of politics while claiming to be a progressive democratic party. Rauf Klasra is one of the most widely read columnists in Pakistan. He regularly exposes unbelievable tales of corruption of Pakistani politicians including PPP. He recently wrote a story about corruption tales of two bureaucrats who had the blessing of PPP. These bureaucrats—Salman Farooqi and Asif Hayat—were serving in senior positions in Pakistan’s President House. They used their influence to first increase the salaries of the Federal Ombudsman and chairman of Federal Public Service Commission (FPSC). After increasing the salary, they appointed themselves to these positions. Referring to the corruption of PPP, Klasra writes that this tale is just the tip of the iceberg. PPP is not the only corrupt party in Pakistan. Pakistan Muslim League – Nawaz (PMLN) rules the federal government of Pakistan and is not much behind in the corruption race. Corruption has become a norm in Pakistani politics and accountability is an after thought. Supporters of PPP or PML-N categorically reject all corruption allegations. The blind support of such ignorant voters is one of the main reasons that parties like PPP and PML-N repeatedly win elections and form government.